Good news for foreign freelancers in Pristina. The Innovation Centre Kosovo (ICK) comes with brand new coworking space, that provide 36 workplaces. This new concept creates great opportunities for freelancers, students and internationals in Pristina to work in a positive work environment. Just outside the city center. Because of the location of the Innovation Centre Kosovo, just outside the center of the capital, the coworker spaces are easy to reach for everyone. Also by bus, car or taxi. Many companies, international organizations, NGO’s and media institutions are present in this part of the city. “Even if people want to use one of our meeting rooms, they have this possibility”, says event manager Shpend Lila. See for the whole article of ICK for more information. 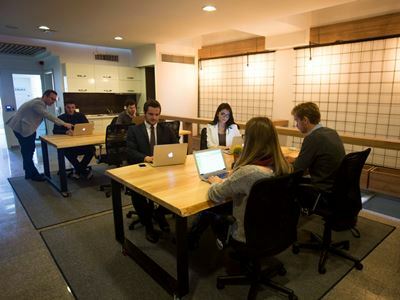 Below you can find out about the location of the coworking space in Pristina, Kosovo.